On this day in history, April 9, 1782, the Battle of the Saintes begins, a battle in which the same French fleet that helped defeat the British at Yorktown was defeated by another British fleet. 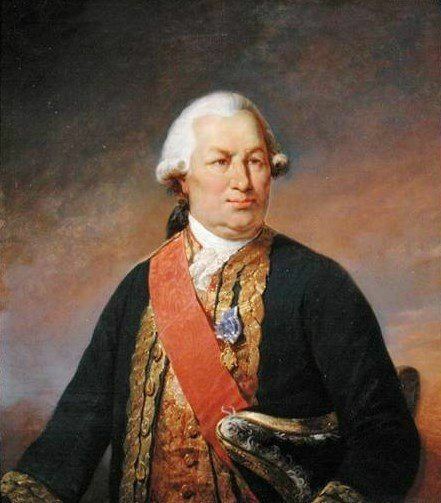 Admiral Francois Joseph Paul, Comte de Grasse, had brought 3,000 troops to Yorktown and prevented a British fleet from landing with reinforcements. After this victory, de Grasse sailed for the Caribbean and helped capture several British islands, leaving the British in possession of only Jamaica, Antigua, St. Lucia and Barbados. Spain and France together then developed a plan to capture Jamaica. On April 7, Admiral de Grasse left Martinique with 35 war ships and over 100 merchant ships bound for France. They were to meet a Spanish fleet with 15,000 soldiers and together they would invade Jamaica. British Admiral, Sir George Rodney immediately followed with 36 war ships. On April 9, de Grasse saw the British fleet and sent the merchant ships into Guadeloupe, just as the British fleet was reaching the tail of de Grasse's near the Islands of the Saintes, a small chain just south of Guadeloupe. Several British ships were badly damaged and the fleet pulled away to repair and regroup. On the 11th, they proceeded and the epic battle began on the morning of the 12th. A fleet of this size had tens of thousands of sailors and soldiers on board. None of the ships had less than 64 cannons. Many had 74, 80... up to 98 cannons! The massive flagship for Admiral de Grasse, the Ville de Paris, was a triple decker with 104 guns. A ship this size would have a few thousand soldiers and sailors on board. This painting shows the surrender of the Ville de Paris. During the previous night, the French Zele had become disabled and began to straggle. Early in the morning, the British reached the Zele and began to bombard her, causing de Grasse to turn the fleet around to rescue her. This resulted in a line to line battle in which each side formed a single line of ships following the ship ahead of it. As the two lines passed each other, they fired on the other side continually. Eventually, the winds shifted and it became difficult to see in the smoke from all the cannon fire. Several gaps opened in the French line and the British began to cross through the openings at 90 degree angles. This allowed the British to fire on the French ships, but the French ships were at the wrong angle to fire back. Several French ships were decimated during this maneuver. Both lines fell into disarray at this point and mini-battles took place all over the battlefield. Some of the French ships were completely dismasted. Others sailed away. The Ville de Paris was surrounded. Admiral de Grasse fought until his last cannonball was used and forced to surrender. In all, 5 French ships were captured, with over 5,000 soldiers and sailors. 2,000 were injured or killed. Over 400 were killed and 700 wounded on the Ville de Paris alone. The powder magazine exploded on the captured Cesar, killing 400 French and 50 British sailors. In all, the British had 243 killed and over 800 wounded. 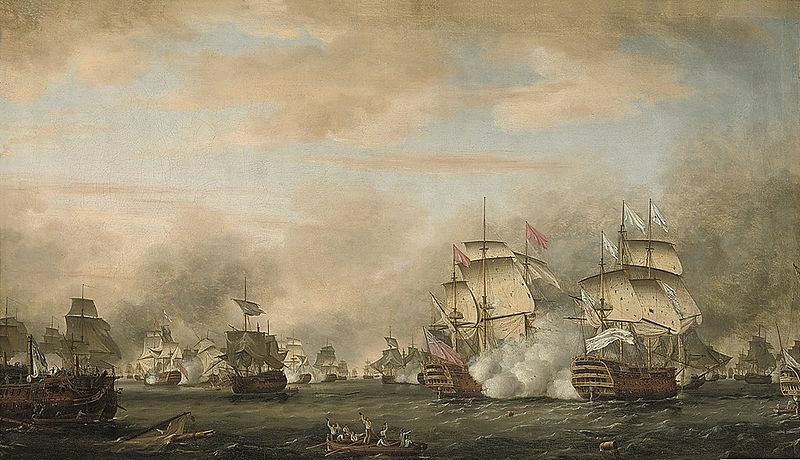 The massive Battle of the Saintes helped restore British morale after losing the Battle of Yorktown and decimated French hopes to take all of the West Indies. Admiral de Grasse was taken prisoner to London, but released on parole. Admiral Rodney was awarded a peerage for the victory and given an annual pension of 2,000 pounds!